Although she was raised in the United States, talented actress Nina Lu mastered the Chinese language as she got older and also became conversant with the Chinese culture. Nina is a Chinese-American actress casting her net in the big sea – the competitive entertainment industry – with hopes of making it big. Lu has had a couple of appearances in television but she is mostly known for her role in the sitcom Bunk’d. Like some of her counterparts, Lu consciously toed the line of acting and sought for opportunities to enter the platform. It would be interesting to find out more about the actress, here’s all you need to know about her. The American actress, who was born on September 18, 2003, in Los Angeles, California, has always been inclined to the artistic side of life. To be precise, Nina Lu convinced everyone around her she was made to act and entertain people through her enthusiasm. This caused her parents to send her to the Barbizon Modelling and Acting Studio of Hollywood. There she was trained by professionals in the field who taught her the rudiments of acting and the creative arts. Nina showed great eagerness to learn and was also fast to gain all the knowledge she could from the acting school. She impressed everyone so much that she began getting roles. Nina Lu started with TV commercials and was quite extraordinary with the little slots she got on the platform. She was soon spotted by the AEF Talent Agency and got signed with the notable entertainment company. 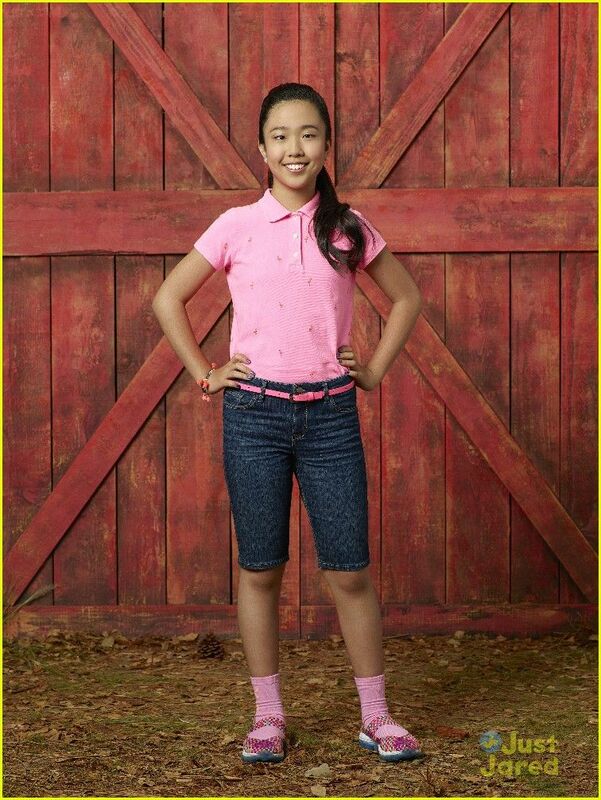 Nina Lu soon landed a role in the comedy series Bunk’d, a spin-off of Disney’s popular Jessie series. The show which premiered in July 2015 was where Lu launched her career as an actress. The show which also starred Peyton List, Karan Brar, Skai Jackson, and many others, pushed her to a bigger platform and projected her talent. 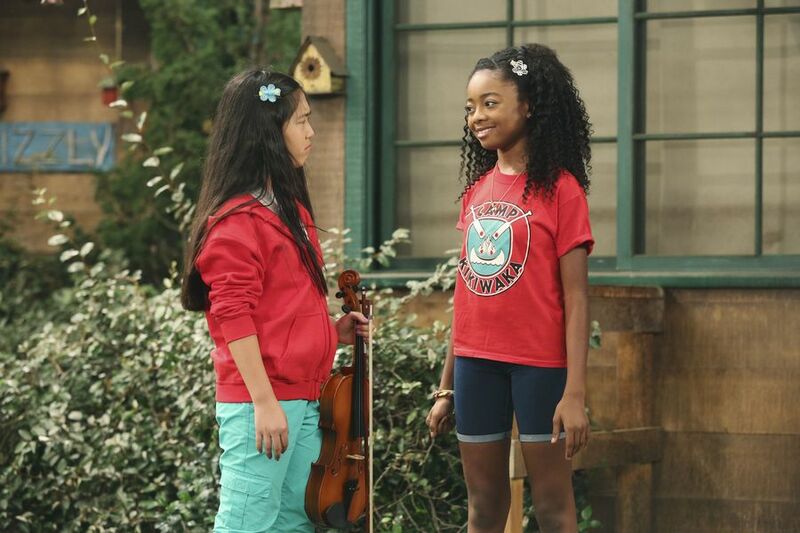 She played the role of Tiffany, a good friend to Zuri Ross, one of the lead characters on the show. Nina Lu has been commended for the flawless portrayal of her character and has gradually gained the attention of various stakeholders in the industry. Also in 2015, she landed another role in another Disney series, Monstober. In 2018, Nina Lu was seen in a starring role in the web series Baby Doll Records. The young actress is looking forward to bigger roles and more opportunities in the industry as she continues to work hard to prove her significance. Not much is known about her parents but reports have it that Nina Lu still lives with them in California. She also has an older sister named Macy. While the names of her parents are not available but we do know that they played a huge role in Nina Lu’s emergence in the industry. Her parents were quite supportive of her career choice having seen the burning passion in her. It was after this discovery that they allowed her to quit the public school where she attended at the time to enroll at the talent school, to enable her to build and nurture her acting talent. Nina Lu’s family watched her improve in the school and even after her graduation approved her working with other talent agencies like Amsel, Frazier, and Eisenstadt. The actress’ parents, who are of Chinese origins, gave birth to their daughter in the United States. But this in no way prevented them from teaching their daughters the Chinese culture, tradition and language. It was a little challenging for the actress who was surrounded by core Americans. But it was only a matter of time before she became fluent in Chinese. • Nina Lu has got great love for animals. As a matter of fact, she owns and harbours goldfishes and underwater mystery snails. She owns a beta fish and also has some chickens of her own. • She stands at a height of 5ft (152 cm) and weighs a proportional 42 kg. Her body stats measure at 28-22-29 inches. • Nina is commonly perceived as a sweetheart by her colleagues. She has also been seen as a hard worker and we hope this hard work pays off pretty soon for the actress. • Away from the screens, she loves roller skating and skateboarding and also loves to sing.